Farrar school house, is it haunted? 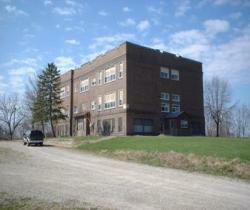 The large 17,000 square foot school house looks out of place in the small town of Farrar, Iowa. 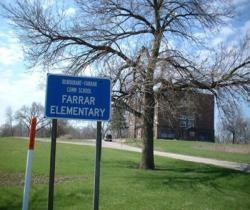 Farrar’s population of no more than 30 people has been slowly shrinking for many years. The only growing population is in the 150-year-old cemetery across from the schoolhouse. Built on six acres of rural farmland, it's old walls are beginning to crumble. 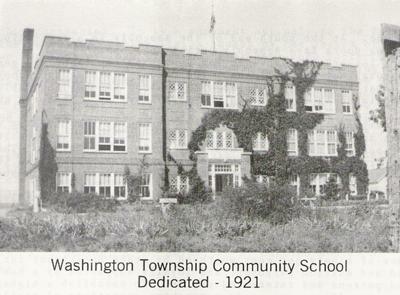 Over the decades employees and students reported hearing voices, slamming doors and sightings of unnatural figures walking the halls. Adults and children have passed on and have returned and re-live their experiences, good and bad, in the old school. After sitting abandoned for five years, Jim and Nancy Oliver purchased the building in 2006. It quickly became apparent they were not alone. Voices, shadow people and orbs were common. Nancy became unsteady on the stairs when a hand on her shoulder helped her catch her balance. She turned to thank her husband for the help only to find no one there. The dark distinct outline of a small boy was sighted on the well lit stairway descending into the gymnasium. The boy appeared to be about 3' 6" tall with one foot on each step and holding onto the handrail. The figure stayed motionless for almost 2 seconds before disappearing.